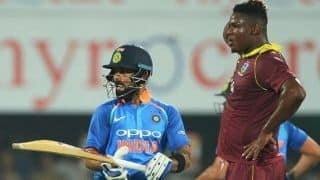 4th ODI: Can “improving” West Indies make it two in a row against India? 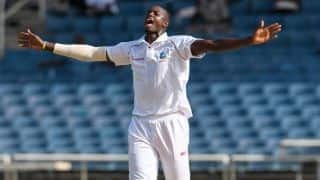 Standing tall at 6’7’’, Jason Holder adds an extra dimension to the West Indies with the steep bounce he generates. 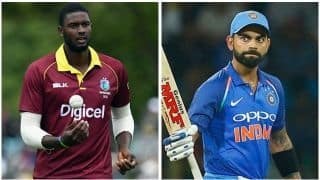 Holder is not express compared to the towering West Indian pacers of yesteryear, but can be a threat with his decent pace combined with the extra bounce delivered from the high-arm action. 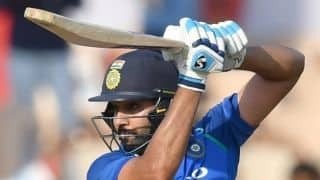 So far he has majorly been considered for the limited-overs formats, but he made his Test debut in 2014 against New Zealand at Barbados. 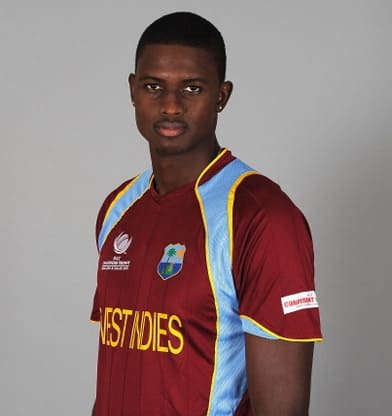 Hailing from Barbados, Holder represented West Indies at the ICC under-19 World Cup 2010 in New Zealand. 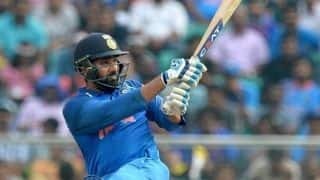 He was called up to the senior side for the ODI series in Australia in 2013, where he made his debut at Perth, and was then picked by the Chennai Super Kings ahead of the IPL 2013. He showcased his talent during the home series against Pakistan. 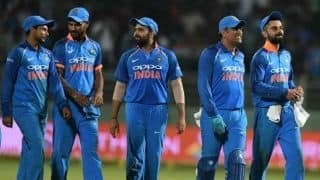 In the first ODI, a devastating spell of four for 13 reduced the visitors to 23 for four. 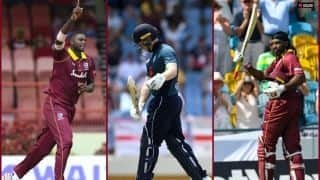 Later in the series, he showed his batting abilities when he smashed a six in the last ball to help West Indies tie a match. 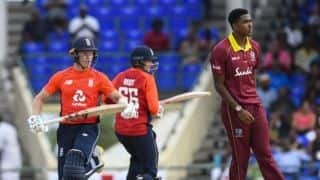 In recent times, Holder’s batting has also come to the forefront. He scored a fifty on Test debut. Later, during CPL, he was sent in at No. 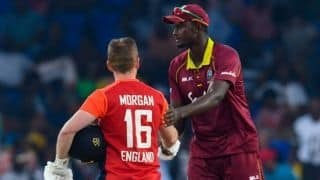 3 by the Barbados Tridents on numerous occasions as a pinch hitter. 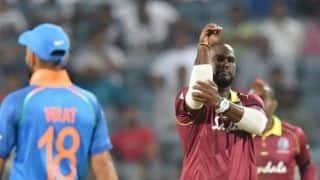 Holder was appointed West Indies' ODI captain for the tour to South Africa just ahead of ICC Cricket World Cup 2015, and later took over as Test captain as well ahead of the tour to Sri Lanka in 2015. 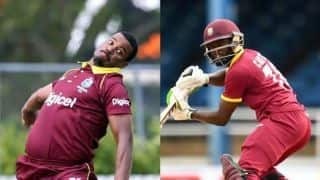 Pacer Shannon Gabriel and allrounder Jonathan Carter have been recalled into a 14-man West Indies squad for the Ireland ODI tri-series. 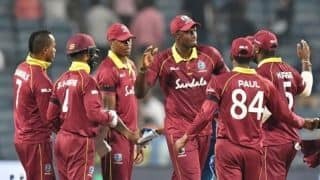 Despite being outplayed by England in the T20I series, West Indies captain Jason Holder is not too disheartened by the 3-0 whitewash. 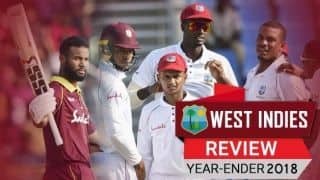 Windies suffered another batting meltdown to lose the series to England 0-3. 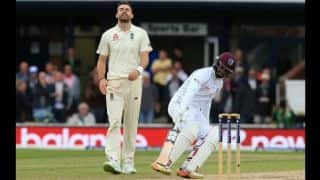 For West Indies, it is about recuperating from the hammering of the second game, while England would want to sign off on a high. 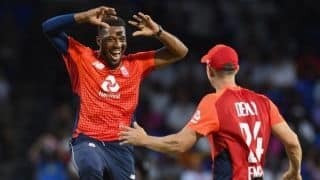 Chris Jordan claimed 4/8 to bowl England to a 137-run win in St Kitts. 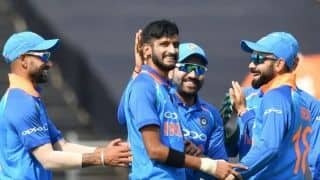 Virat Kohli’s India are second with 122 ratings points, while Jason Holder’s tourists are down at ninth behind Bangladesh and Sri Lanka. 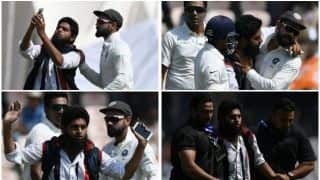 If Hanuma Vihari is to play the first Test against Australia, India should get him into their XI in Hyderabad. 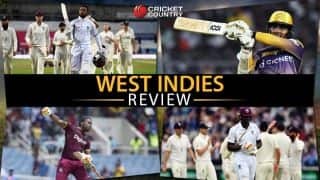 England vs West Indies, 2017 Test series: Marks out of 10 for Jason Holder and co. 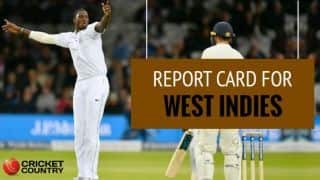 In CricketCountry’s episode called Marks out of 10, let us rate each of the West Indian on the basis of their performances. 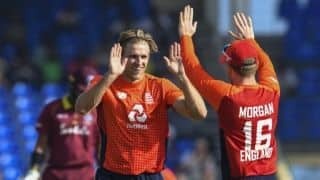 With the series levelled 1-1, all eyes shift to the home of cricket — Lord's.